There are stock exchanges located throughout the world, and it is possible to buy or sell stocks on any of them. Stocks are genrally seen as less risky than most trading vehicles because stock movements are usually more gradual. Most people view stocks as long term investments. “Stock Market” is a term that is used to refer both to the physical location for buying and selling stocks, and to the overall activity of the market within a certain country. When you hear “The stock market was down today,” it refers to the combined activity of many stock exchanges. The major exchanges in the US are the New York Stock Exchange (NYSE), the American Stock Exchange (Amex), and NASDAQ. The correct term for the physical location for trading stocks is the “Stock Exchange.” A country may have many different stock exchanges. Usually a particular company’s stocks are traded on only 1 exchange, although large corporations may be listed in several. There are stock exchanges located throughout the world, and it is possible to buy or sell stocks on any of them. The only restriction is the oparating hours of each exchange. Both the NYSE and NASDAQ, for example, operate from 9:30 am to 4:00 pm Eastern Time, Monday through Friday. Other exchanges have similar opening hours based on their local time. When you trade on the Hong Kong Stock Exchange, your order will be executed sometime between 9:30 pm and 4:00 am New York time. The economic health of a country will strongly influence its stock market. When the economy is doing well the market is bullish. Bull markets occur during times of high economic production, low unemployment and low inflation. Bear markets, on the other hand, follow downturns in the economy. When inflation and unemployment are rising, stock prices are usually falling. Stock price fluctuations are also driven by supply and demand, which in turn are dependent to a great degree on investor psychology. Seeing a stock price rise rapidly can cause investors to jump on the bandwagon, and this rush to buy drives the price up even faster. A falling price can have a similar effect in the other direction. These are short-term fluctuations. Stock prices tend to normalize after such runs. The stock exchange is only 1 of many opportunities for people to invest. Other popular markets include the Foreign Exchange Market (FOREX), the Futures Market, and the Options Market. The FOREX is the biggest (in terms of value) investment market in the world. FOREX traders buy 1 currency against another and can profit from small changes in currency value. Most FOREX trades are entered and exited in 1 24-hour span, and traders have to keep a close watch on the market in order to make profitable trades. The Futures Market is a market of contracts to buy and sell certain goods at specified prices and times. It exists because buyers and sellers of goods wish to lock in prices for future delivery, but market conditions can make the actual futures contract fluctuate considerably in value. 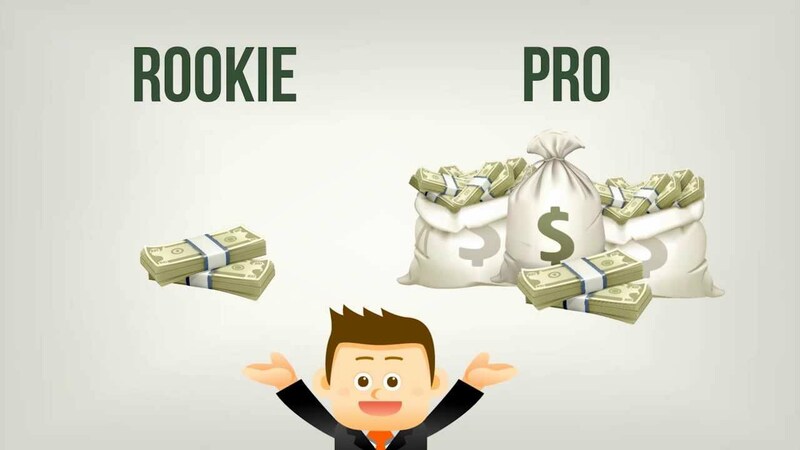 Most investors in the futures market are not interested in the actual goods — only in the profit that can be realized from trading the contracts. The Options Market is similar to the Futures Market in that an option is a contract that gives you the right (but not the obligation) to trade a stock at a certain price before a specified date. These options can be traded on their own or purchased as a form of insurance against price fluctuations within a certain time frame. All 3 of these markets are considered quite risky without considerable knowledge and experience. They also require close monitoring of market movements. Stocks, on the other hand, are less risky because movements of the market are usually more gradual. Although short-term investment strategies are possible, most people view stocks as long-term investments. In this industry, most people call themselves ‘traders. ?Unfortunately, a better word for a lot of them would be ‘gamblers. ?No matter how you spin it, trading without a strategy is equivalent to a stint at the craps tables. But there’s no reason to resort to that ?finding a dependable trading strategy and sticking to it is really very simple. Although trading involves risk, never treat it like gambling. You must have a solid trading strategy, one which you plan, test, and revise repeatedly. You need to stick to this strategy, and never act on spur-of-the-moment decisions. All you do when you act on a gut feeling is jeopardize any and all of the thoughtful planning you’ve done by giving yourself completely over to chance. Remember that you can never control where a single trade will end up, but you do have control over a long-term plan. And don’t evaluate your performance on the basis of individual trades. A gambler might think that a small loss is a failure while one huge risky gain means success. Traders should never think this way. Instead, judge yourself by the consistency and profitability of your overall strategy. This is the only way to stay in control of your trading success. To do this, of course, you have to build a solid strategy. This means developing a set of pre-defined rules that you follow consistently. You should set goals for each week, or possibly each month (but never for a single day, as there are too many things you won’t be able to control over such a short period of time). Next, decide on realistic profits and losses for each trade. Then, according to these markers you’ve set for yourself, carry out your plan without exceptions. If your set profit for a trade is, say, $300, sell when you reach that milestone, even if you have a feeling the stock will rise. Otherwise, you corrupt your plan with too much risk, and you’ll never know if your overall strategy was successful or not. You may have gotten lucky with one trade, but you haven’t determined any kind of consistency. Keeping to a strategy will allow you to revise what you’re doing, learning which goals and limits will work and which won’t. Straying from your strategy teaches you nothing useful that you can apply over the course of your trading career. So, while you may gain a few hundred, or even thousands, of dollars on a single trade, who knows how much knowledge you sacrificed, knowledge could have gained you tens or even hundreds of thousands of dollars in the years to come. Taking a loss on a trade is always hard, especially when the trade appeared to be a sure thing. It is easy to feel like a failure when experiencing 3 or 4 losses in a row. Treating trading as a probability game can help accept these losses. As a trader, you have to forget about finding a sure thing. You must accept the fact that the stock market can do anything at anytime. If you are not convinced, consider that there are millions of traders trading for institutions, funds, investors, swing traders, scalpers, etc?all acting together in different time frames and using different types of analysis. Fact: Trading is not about guessing the future because it cannot be done. If you accept this fact, then it is much easier to take losses without destroying your self-esteem. You take a trade, you accept that you don’t know what will happen next. You have no expectations that this trade will turn into a winner. Your only expectation is that something will happen. – If I roll a 3, a 4, a 5, or a 6 then I win $2. If I roll a 1 or a 2 then I don’t win anything. Clearly, every time I roll the dice I have no idea what the outcome will be. But I know that for every roll the odds are in my favor. In the long run, I will win 4 times out of 6, which means that I will pay $6 to win $8. I will be a consistent winner if I play long enough. So how do we translate this into trading? Each time you roll the dice, you don’t know the outcome, the same as for each individual trade. But each time you roll the dice, you know the odds are in your favor to make money, and you will make money if you play long enough. So for each trade you enter, you must know that the odds are in your favor to make money. As you can see in the second example, it does not mean that you have to win more often that you lose. It also depends on how much you win when you win and how much you lose when you lose. How do you put the odds in your favor? You have to develop a trading edge using technical analysis, fundamental analysis, market internals, etc.. You have to have a number of variables that must be present before you enter a trade and always use the same set of variables. Your edge is your strategy to enter and exit trades and should be well defined in your trading plan. – For each trade you take, you don’t know the outcome, you accept that anything can happen, and therefore you have no expectation for that trade. – You believe in your trading strategy, that is you believe that for each trade you take the odds are in your favor. – You believe that the outcome over a series of trades is relatively certain and predictable. To go back to the dice example: will you get mad or feel stupid when you don’t roll a winning number? No because with a dice you accept the fact that you cannot know the outcome. You have no expectation. Apply the same idea to your trades and save your self-esteem. This idea of treating trading as a probability game made a big difference in the way I feel about losses. I learned about it in “Trading in the Zone” by Mark Douglas. I strongly recommend this book. If you have a good trading plan, with a strategy to enter and exit trades, then a successful trade is one for which you followed your plan, not necessarily a winning trade. And remember, you will never know if your strategy works if you don’t follow it. According to a recent global survey by AXA Equitable, American workers are confident, but not well-informed, about their financial outlook in retirement. According to a recent global survey by AXA Equitable, American workers are confident, but not well-informed, about their financial outlook in retirement. For example, 60 percent of workers believe their retirement income will be sufficient, but only one in five actually knows what that income will be. • On average, U.S. retirees receive $4,243 in net monthly income (including Social Security, company pensions, personal assets and savings, etc. ); however, the median (middle point) net monthly income is just $463. • 98 percent of U.S. retirees are confident with their living standard, claiming they already have everything they need. However, with Social Security and pensions falling out of favor (about 9 in 10 believe the Social Security program is in trouble or crisis), workers are receiving a wake-up call for retirement planning. In fact, an estimated 65 percent of workers realize they will need to rely on their own savings to get them through retirement. Of all respondents worldwide, Americans are the least likely to rely on government-managed retirement savings programs or to hold the government responsible for providing retirement income. As a result of sound advice, Americans are able to build diversified retirement portfolios. When asked how retirement income is being secured, about two-thirds of respondents-working and retired-cited several types of assets, including IRAs, 401(k)s, investment funds and company pensions. However, Americans are being cautious with the funds that should last a lifetime. Seventy-eight percent of workers favor investments with a modest ROI and no financial risk. Even so, Americans lead the survey in financial risk-taking. The Retirement Scope survey was conducted by AXA, a leader in financial advice and wealth management. More than 6,900 working and retired people in 11 countries were surveyed. Money is considered a lifeline for us to survive every day and borrowing can be beneficial if an emergency situation arise that needs a huge amount of money or a good deal if you want to engage in a sure hit business. However, borrowing money might be an overwhelming choice due to its complications and associated responsibilities, and one mistake can break your good credit standing that may lead to rejections of your future loan requests. It is crucial to know what to expect and what you can do ahead of time if you really want to get a loan. The initial step is to identify what type of loan you will need, and it depends on what are you intending to do with the money. The various types of loans include personal loans, home loans or mortgage loans, car loans, business loans, and student or educational loans. Find a loan that can best match your needs in order to get a higher chance to be approved and keep your cost lower at the same time. The next step is deciding where to borrow, and it is important to shop around, going to appropriate financing agencies or institutions that can offer you the best deals. For example, you need to try your school’s student aid office first to get a student loan before going to a bank to avail a private student loan. The good places to shop for loans are banks and credit unions. It is also important to include other sources in the marketplace such as peer-to-peer loans. There are many safe and reputable websites with access to multiple lenders. Borrowing money from private lending individuals like your friends or family may get your loan easily approved, keeping the costs low, but it may still cause problems because of disputes and inability to pay on time, ruining your relationships. When you have been repeatedly turned down, it can be tempting taking whatever is available for you, but beware of predatory lenders and high-cost loans like rent-to-own programs and payday loans because they are expensive making very difficult to pay off in time. It is usually required to have a credit when getting a loan, which shows your history of borrowing and repaying loans, and having a good credit increases your chance to have your loan request approved immediately with better rates. It is essential to fix any mistakes in your credit files to prevent getting rejected for your future loans. Before you sign the dotted line, you need to understand your loan’s terms and conditions including its repayment method, due dates, grace period, late charges, penalties and other calculations. Online loan calculator and other online tools can greatly help you. There are times when you just need a more convenient way of making a payment. There are certain transactions that you can easily do at home. Your mobile device can actually make this possible in so many ways. A lot of credit card agencies are actually using this on a daily basis. This would definitely be the ideal payment process for people who have busy lives. Aside from being easy, it is also convenient at the same time. You can use it personally as well as for business. You and other people would definitely want this. There are so many things that have changed lately. The factors have come together for mobile payment processing. There are so many people around the world who have benefited from these developments. Everything is so much faster in this day and age and that just makes people really happy. Basically, when you’re able to manage your transactions in the best possible way then life just becomes much easier. When you successfully accomplish this, your customers would definitely be happy with the amazing news. Changes have resulted from people becoming more demanding in this day and age. Every aspect of business has been following the many developments around the world. Merchants have found it much easier to handle technology of mobile phones. People are a lot more open about what they want in this day and age. When making payments, the ideal processing is always needed. No matter where the person is located, he would still be able to make a payment using his mobile. Your customers would surely be happy when you hire companies that help them with mobile payment processing. You will surely be happy with the advancements that have been made these days. These amazing inventions are exceptional and would really boost your smart phones. You would not be having trouble regarding these matters because there are readers pretty much everywhere around the world. When customers are able to find things that make their lives convenient then they are not going to stop looking for it. You can go anywhere you want when it comes to your bank cards. You will always have to consider this when it has to do with business. You will be successful all the time because no one would be able to stop you. You need to process everything the proper way as it would ensure everything goes according to plan. Along with your plans to apply for a loan is the decision that you need to make. Aside from the amount you borrow and the interest rate, you have to decide on how long you are going to pay everything you have borrowed. The rest of the article will talk about the Advantages of getting short term cash loans lender service. Try to imagine getting two loans with the same amount. With one loan, you will be getting it as a short term loan where you will have higher monthly payments. For the second loan, you will be paying a lower monthly rate because it will be paid on a long term basis. You see, although you need to have higher monthly payments for short term loans, you will get a lot of advantages from it. What benefits can you experience? Take a look at these. First of all, you will have to pay less interest for your loan. In this case, paying for the loan in full will be quicker. This actually helps you save money in the bigger picture. Financial prediction and monitoring will be easier with short term loans. Getting a solid budget for your expenses, savings and more, is possible with this kind of loan. Because the pay will be shorter, you will not feel stressed for a very long time. You will experience peace of mind when you pay your loans for a shorter period. Another good thing with short term loans is that it can be a way for you to improve your credit score. Just make sure that you pay for it in a timely manner. This kind of loan is even better for equities. Through this loan, your equity will build at a much faster rate. At times when your loan does not includes mortgages, you may not be require for a collateral for your short term loan. That makes it easier for you to get funds at a much quicker pace. This just shows that it is beneficial to apply for short term loans. Sometimes, you may encounter very attractive offers and some too good to be true promises. You should be realistic enough to look and accept offers like this. Remember that you have to make a solid decision whenever you are applying for a loan. Any short term cash loans lender near your region will be happy to help you with your financial needs. However, it is important that you choose the right company to help you. Most of all, only deal with reputable lenders in your area. You have to think your safety and the company’s reputation, too.